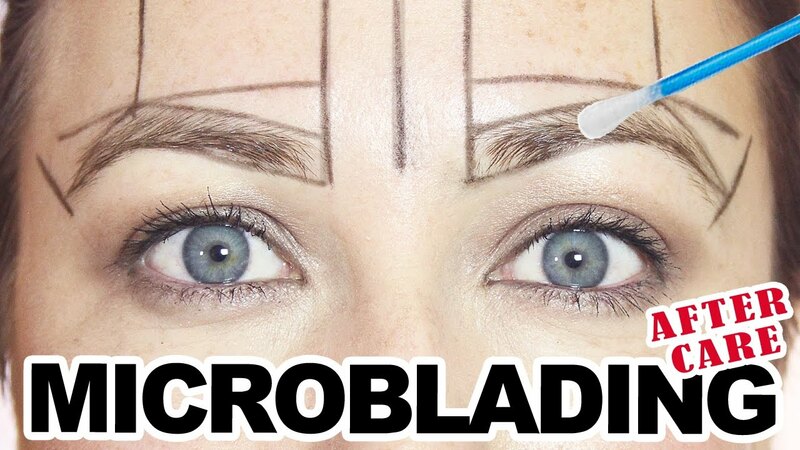 What to do Before & After your microblading procedure. Obviously, eyebrows is one of the most important facial features. It frames your face and draws attentions to your eyes. If you already heard about microblading you probably know, that it is a type of permanent make up but it is somehow different from eyebrow tattoo. So which one to choose and how to get ready for a procedure? You might be confused and full of doubts. Don`t worry! In this article we gathered all the information you need to know about microblading. To start with, let`s determine the difference between permanent eyebrows tattoo and microblading. In fact, microblading is considered to be a semi-permanent procedure and there is a reason for it. Microblading involves the use of a hand tool with tiny needles which penetrate pigment into the skin, but not as deep as a tattoo machine. This treatment usually lasts from 1 to 3 years. Your eyebrows will remain freshly done longer if you do touch ups. 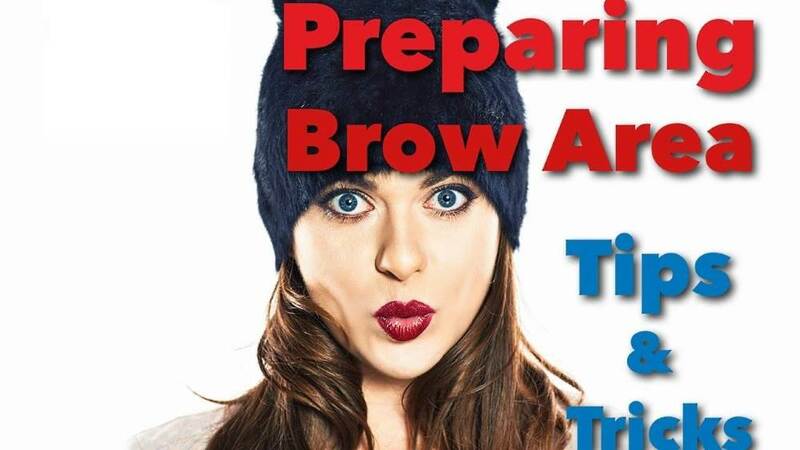 Further in this article you will find the information how to take care of your eyebrows after microblading procedure. But let`s start with the very first steps of preparing for a treatment. Do not rush the procedure. Allow about 2 hours for this treatment. In the beginning, for about an hour, you will be given the best possible options of eyebrows shape you may get. For this reason, your microblading specialist will measure your brows, check the proportions of your face, will prepare the perfect mix of pigments. Next, it will take about 30 minutes for the numbing cream to sit, so the procedure could be painless and pleasurable. And finally the actual microblading procedure will be done in the last 30 minutes. Do not drink alcohol the night before microblading treatment. If you booked an appointment already, it is a good idea not to drink alcohol excessively the night before the procedure as it will cause the bleeding and may affect the final result. Note: For the same cause do not to drink coffee and energizing drinks on the day of the procedure. Do not tan or get intense sun exposure for 3 days before the procedure. Do not make an appointment when you have your period. Microblading eyebrows during those days may also be the reason for the excessive bleeding, which you better to avoid in order to get desired results. For the best results, you also need to know how to take care of your eyebrows after the microblading procedure. Below are the detailed instructions for that. Right after procedure try to avoid spend all day in the direct sun, going to tanning salons and sauna, do physical exercise which causes sweating. Peeling and scratching your eyebrows is a big NO-NO! It not only will remove the pigment, but also may cause scarring. This may lead to slowing down the healing process. Apply the post-care cream which your permanent makeup specialist will provide you with. Go for a touch up procedure. Although, when you will see your healed results in about 3-4 weeks, you probably will want to skip the touch up. But you must know that this step of the microblading treatment is very important. Further we will explain why. The whole process of healing after microblading treatment usually takes about a month. It will go through several stages and will require a following touch up in at least 4 weeks after procedure. Right after the treatment the pigment will appear very dark and strokes will look too sharp. The reason is that the pigment is not settled into the deeper layers of the skin and still stay on the top of it. Once the skin is healed, the dead pieces will come off (it will look like a dry skin). Remember: Very important at this period not to force the process as you may damage the pigment! After this stage, the pigment may look too light and even faded as the color is absorbed to the deeper layers of the skin. But soon after it will become darker again when skin cells will push the pigment back to the upper layers. At this point you will need to make an appointment for a touch up, so the permanent makeup technician could fill in missing hairs or adjust the length of it and make the color darker. When all the healing stages and touch up are completed, the desired result will be achieve and you may enjoy your new eyebrows for the next years. At the end, it is fear to mention, that microblading is a quite expensive treatment. The price across the country may range from $500 to $1600. But if you want to look beautiful every single day without wasting your time and money on make up, this procedure might be a perfect long time investment. Eyebrow extensions New York are a hot new beauty trend, but are they worth the cost and time commitment?